What is an Ocean Shipment? 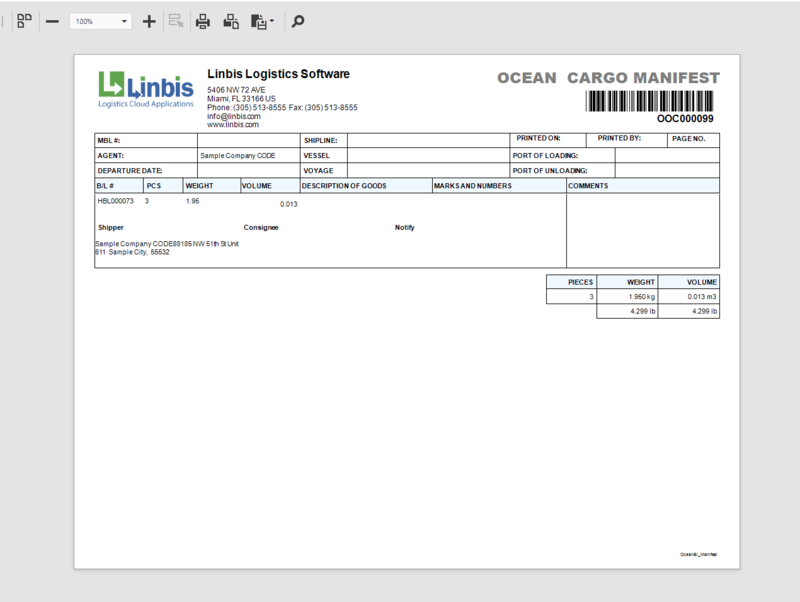 In this quick tutorial, we will explain how to create Ocean Shipment using Linbis Logistics Software. 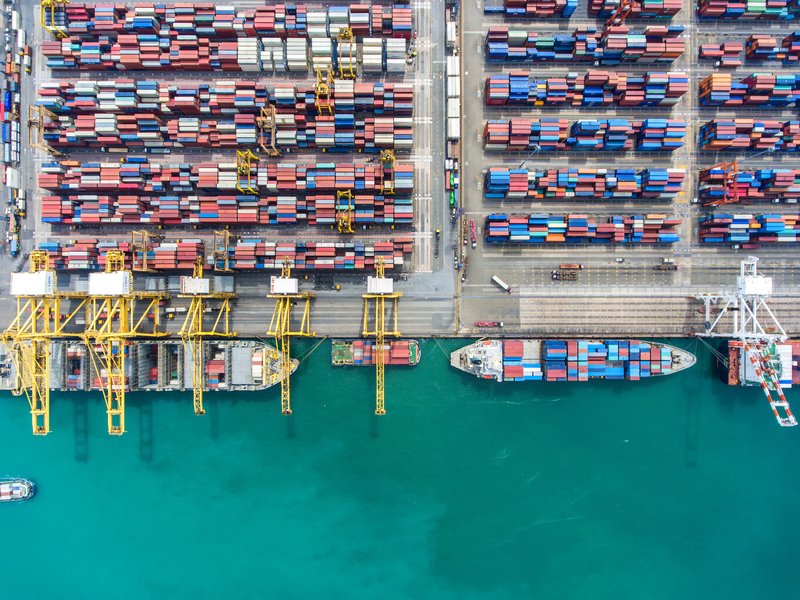 Ocean Shipments are the most common mode of transport that importers and exporters use. In fact, a full 90% of everything is shipped by ocean freight, because is an inexpensive option. Actually, freight transport has been achieved widely by sea throughout recorded history. 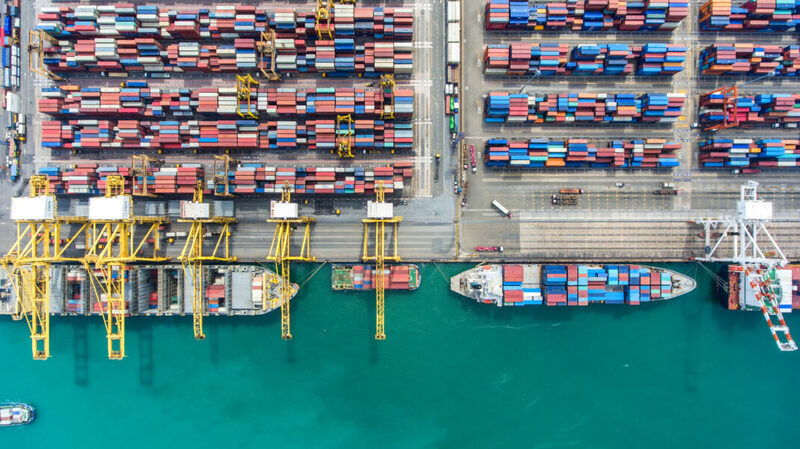 Maritime transport can be realized over any distance by boat, ship, sailboat or barge, over oceans and lakes, through canals or along rivers. Steps to create an Ocean Shipment. 1- Click on the Ocean Module located on the left menu and then click on Shipments. 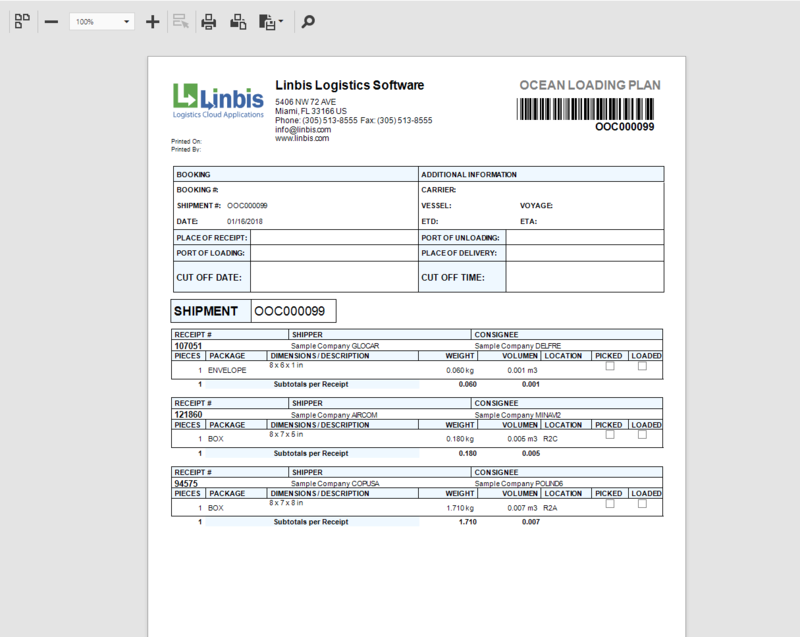 Linbis has two differents ways to create a shipments. One is creating from the warehouse mangement system actions button and the other as a new transaction on the shipments module. Outbound consolidation: It is an export Consolidation shipment with multiple HBL and one MBL. The other possibility is a Back to Back shipment. Only one HBL with one MBL. Outbound Direct: It is an export shipment with just a MBL. Inbound consolidation: It is an import Consolidation shipment with multiple HBL and one MBL. The other possibility is a Back to Back shipment. Only one HBL with one MBL. Inbound Direct: It is an import shipment with just a MBL. 3-For the purpose of this example we will create an outbound consolidation from shipment and then click on the save button. 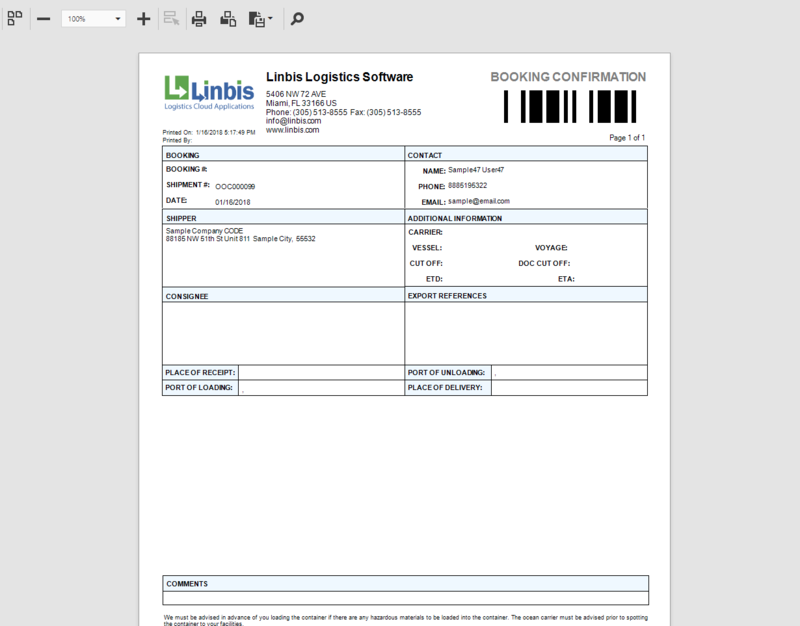 Use tabs Main/Cut off & Capacity/Entities/Additional/Notes for the booking details information. Once you fill this basic information you can save and the system will generate automatically the Shipment Number. Then you can print the booking confirmation. 4- Now it is time to enter the commodities and cargo details such as Package Type, Weight, Dimensions and Description. To do this go to the commodity tab and click add commodity. -Other way is to select existing warehouse receipt from the release bottom. Once you are on the release tool section, select the warehouse receipts and them release. 5- Repeat the process for as many different packages or container as you have. All commodities will be added to the commodity list as shown below. The commodities status will be "Preloaded". 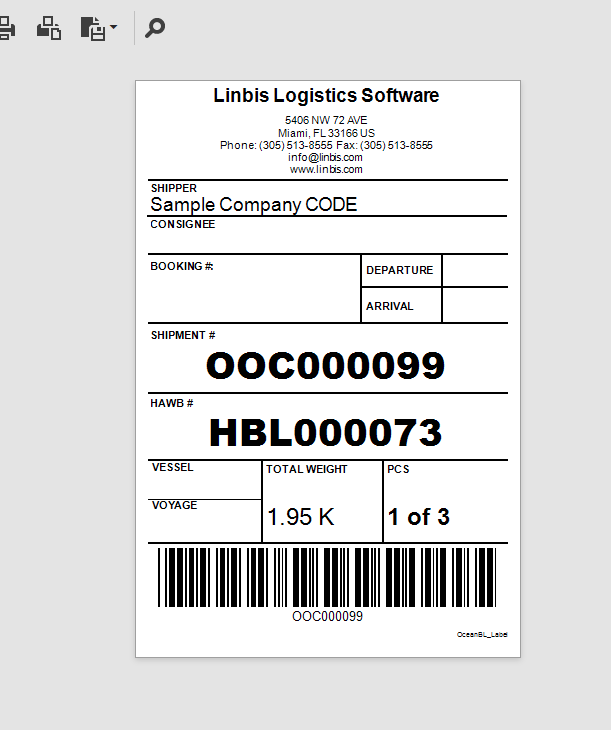 6- Once you generated the MBL, the next step is create the HBL on the section to the right ( Create House-shipment, notice there are many ways of creating the House shipments, it can be done manually or if warehouse receipts have been assigned to the shipment, you can use the options to generate the houses automatically where Linbis will split the cargo in between the house by Shipper, Consignee, Warehouse Receipt or the combination of all). 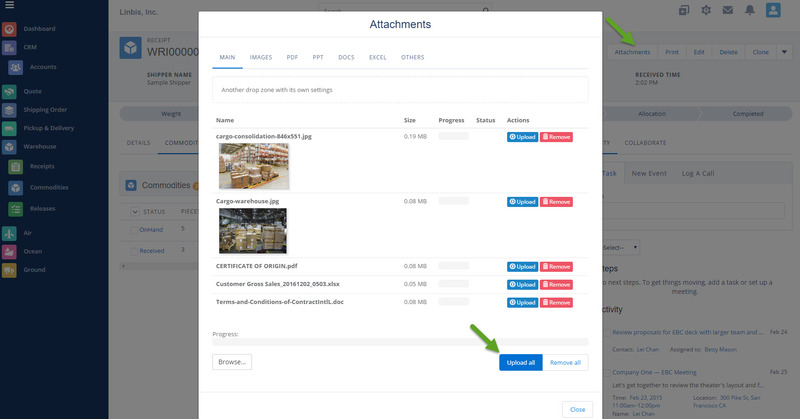 7- In order to add attachments, click on the button located on the top right corner "Attachments", and drag and drop any required file or pictures to be attached. Then click upload all. 8- To view the attached files at any time, you can click on the attachments button and go to each of the tabs depending of the file type. The check mark below the files, determines whether the file should be visible or not to the customer online account. 9- To print all Ocean forms and Labels, click on the print button located on the right top corner and select the desired forms. 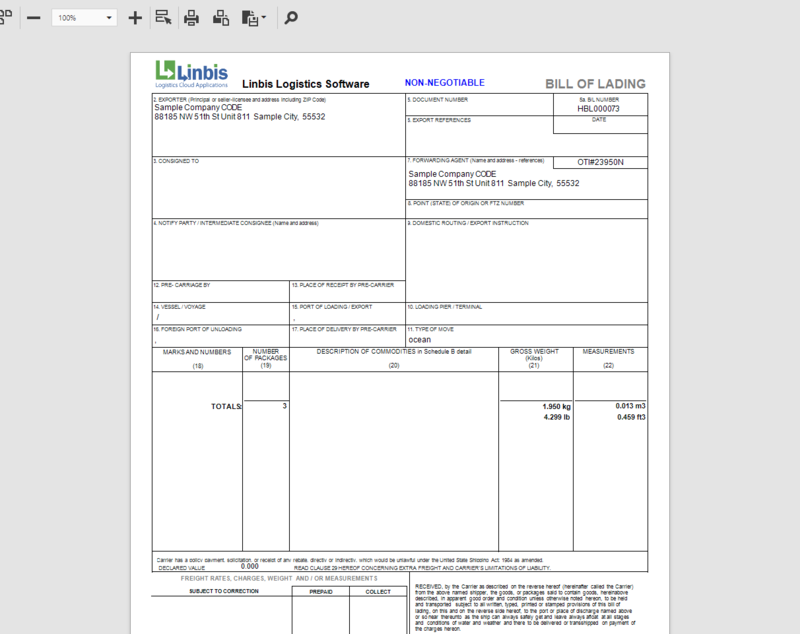 11- Bill of Lading (Print Preview). 12-Ocean Cargo Manifest (Print Preview). Congratulations!!! You have successfully created your first Ocean Shipment.